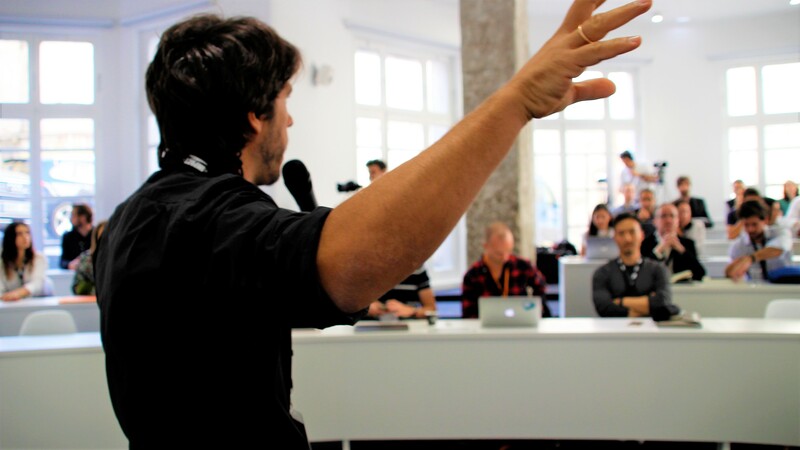 In September, fourteen of the best startups in Europe began their IMPACT Growth journey. It all kicked off in Madrid with Welcome Week. You might have heard about the equity-free funding IMPACT Accelerator gives startups. While this is the first benefit that many hopeful applicants notice, the truth is that IMPACT offers so much more. In our program IMPACT Growth, this funding goes hand-in-hand with an intensive, three-month acceleration program. Acceleration at IMPACT is designed to give participating startups an overall boost, while also drilling down on the challenges specific to each business. We help startups grow exponentially. Startups work hard but it's not all serious at IMPACT Growth Welcome Week. IMPACT’s acceleration is unique in that it is de-localized. Startups can take part from their home city through our in-house acceleration management software, AcceleraTHOR. No need to uproot their companies and move to an unfamiliar place for months on end. However, community is important to us. We work with startups remotely, but we want to know who’s on the other end of the call. That’s why IMPACT Growth’s first batch of acceleration kicked off in September 2017 with Welcome Week, a rigorous six-day event that brought together renowned companies; business and technology experts from all over the world including Denmark, USA, Argentina, Israel, France, and Spain; and, of course, members of the startups from around the European continent and beyond. 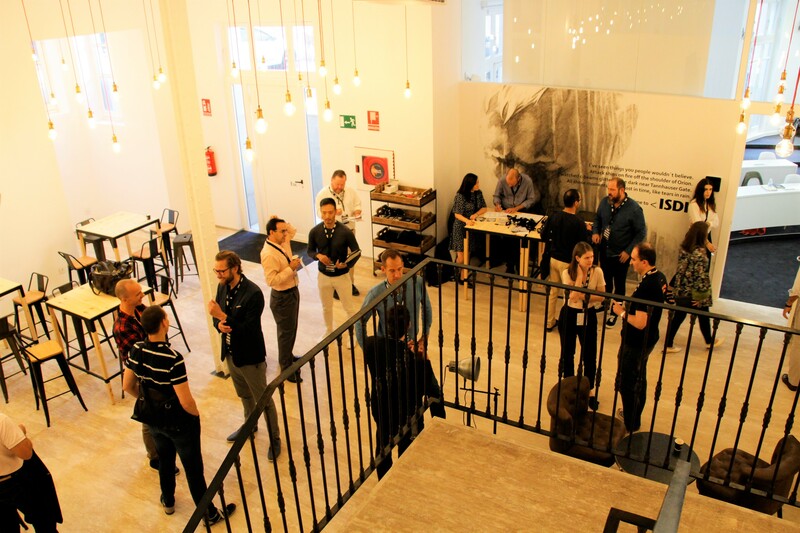 Welcome Week took place in the newly renovated space at ISDI Madrid, which opened exclusively for the event. Networking was also a key part of IMPACT Growth's Welcome Week. and our four corporate partners: MADE, Danone, DOCOMO Digital, and Ferrovial Servicios. Aquilino Peña, founder of Kibo Ventures, introduces his firm and its role as part of the IMPACT Growth consortium. Welcome Week was designed to inspire, connect ecosystems, and foster hands-on learning. The week was divided into two parts. Welcome Day. The first day of the program was a high-powered introduction to IMPACT Growth which included networking, startup-mentor matching, and an internationally-renowned keynote speaker. Training Camp. The following five days made up the Training Camp portion of the event, a week of learning and growth which was carefully designed by ISDI and Accelerace to push the selected startups to their highest level of performance. Welcome Day brought together startups, mentors, IMPACT Growth partners, reprentatives from global brands, and experts from around the world. 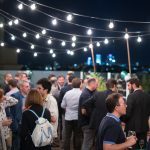 Startups got to meet each other and were introduced to the program: what to expect from the upcoming several months and what would be expected from them. Additionally, startups had one-to-one meetings with the IMPACT team in order to establish a good line of communication and to fully understand startups’ business objectives and strategic fields of action fundamental to their development and growth. At IMPACT, we do everything we can to support our startups, whether that be putting them in touch with strategic people or offering additional support in overcoming a particularly tough problem. 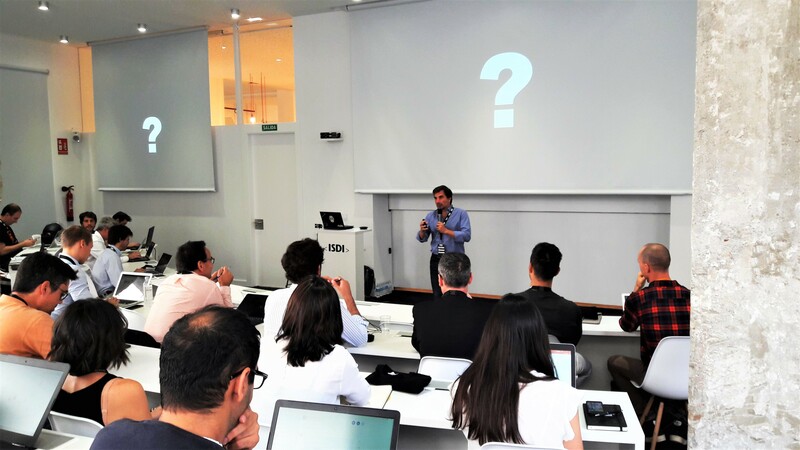 Nacho de Pinedo, CEO of ISDI, pushed the startups to explore their why - what keeps them motivated. During the stand-up lunch, startup members had the opportunity to network with each other, as well as with mentors and members of the IMPACT consortium. In the afternoon, startups had one-to-one sessions with members of the different corporates involved in the program: Danone, MADE, Ferrovial Servicios, and DOCOMO Digital. To wrap up the day, our keynote speaker, Gustavo Brusilovsky–CEO and cofounder of Klikin and former CEO and cofounder of BuyVIP–gave an inspirational talk about BuyVIP: from its foundation to its exit to Amazon. After a few drinks and the last bit of networking, Welcome Day was officially over… but the week had just begun! Each day of the Training Camp was centered around a different theme and featured expert speakers and professors. Day 1 was all about Product. Day 2 revolved around Internationalization & Corporations. Day 3’s focus was Team. Day 4 was a great opportunity for the startups to learn more about Dashboards & Fundraising. The theme for Day 5 was Marketing. We were honored to have the participation of truly amazing speakers, including Sergio Álvarez Leiva, cofounder and CEO of CARTO; Bartek Kunowski, VP Product at Glovo; Efi Shema, Principal at Rhodium; Ander Michelena, cofounder and CEO of ticketBis; Juan Pablo Puerta, formerly of Yahoo, Etsy, SoundCloud, and more; Javier Martin, Regional Human Resources Director at Google; Juan Lopez, Chief Investment Officer at Kibo Ventures; Ariel Poler, angel investor, board member and founder of multiple tech companies; Andy Stalman, author of BrandOffOn​ and HumanOffOn; and Thomas Petit, Growth Team Member at 8fit. Sebastián Muller, Acceleration Director (ISDI), got startups excited about the coming months. We were also honored to get a special welcome video from Brian Wong! Check it out below. The only way to really see the results of any program is by measuring the outcome. That’s why startup members were asked to rate the instructors after each lecture and workshop. On average, instructors were rated 8.03 out of 10 in the evaluations. Likewise, instructors and mentors expressed great admiration for the members of the startups. We at IMPACT Accelerator would like to thank our mentors, instructors, and partners, and, of course, the members of the fourteen amazing startups participating in the first batch of IMPACT Growth 2017. IMPACT Growth's last open call for startups is a huge success! 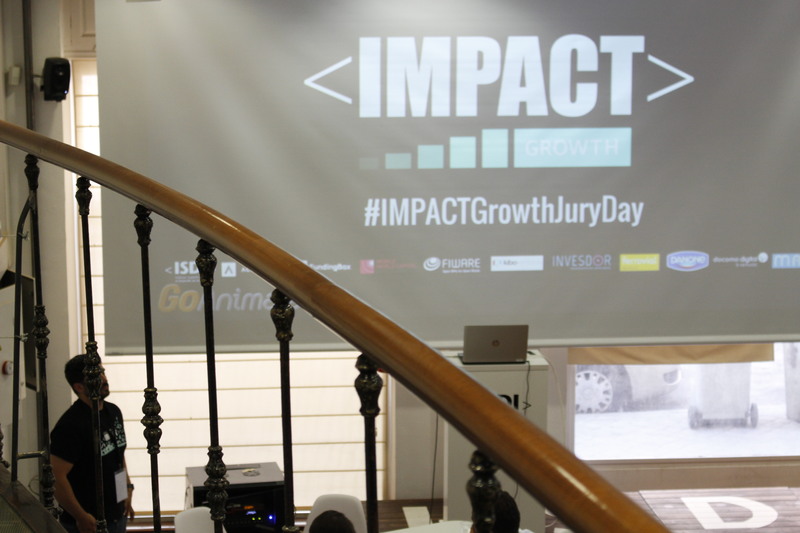 IMPACT Growth, the startup acceleration program backed by leading accelerators, venture capital entities and global brands, wrapped up its second and last call for applicants with the participation of over 2,000 startups. 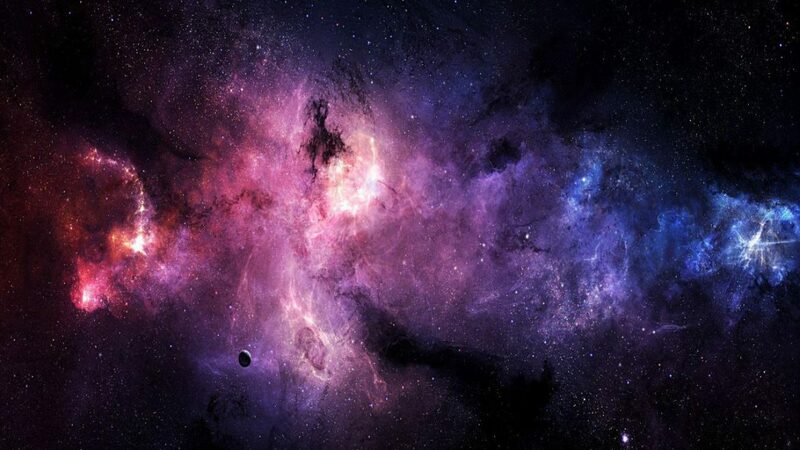 The call, launched in September in DLD Tel Aviv, and promoted in top global events such as MWC Americas, Web Summit, Slush, South Summit and MWC Shanghai, has received applications from more than 60 countries, in the Americas, Africa, Asia and Europe. From among the participants IMPACT Growth will select a total of 14 startups to initiate an acceleration process headed by ISDI and Accelerace. These selected startups will join the 14 companies that were selected in the first open call and are currently being accelerated. Spain, Italy, Poland and Denmark led the number of applications in this second call. Among IMPACT Growth’s four verticals, of special note was the participation of startups in the Smart Content (41% of applications) and Smart Cities (30% of applications) sectors. Smart Agrifood and Smart Manufacturing are the other two verticals, accounting for 13% and 11% of the applications, respectively. The global brands Ferrovial Servicios, MADE, Danone and DOCOMO Digital will support the startups selected in their verticals. IMPACT Growth is an initiative funded by the European Commission’s Horizon 2020 program, with a total of €3.6 million for its initial phase. 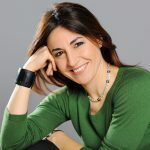 The project, led by FundingBox, features two calls for applicants for the selection of a total of 28 startups, granting each with 100,000 euros equity-free for their initial funding and the best four with an additional funding of 150,000 euros equity-free. Participants have the possibility of obtaining more funding through partner Invesdor‘s crowdfunding platform. The top startups will be able to receive private investment of up to €1.5 million from the European venture capital Kibo Ventures. The startups will participate in a training program featuring international experts and entrepreneurs in Madrid, Copenhagen and Barcelona, and access an international network of over 100 renowned mentors, founders and investors. The training program will go hand in hand with participation in the different international events organised by 4YFN, the business platform for the growing community of technology startups at the global level supported by Mobile World Capital Barcelona (MWCapital). The startups will also benefit from support by the FIWARE Foundation for the integration of this technology into the development of their projects. FIWARE is an innovative, open source, Cloud-based technology that makes possible the creation and deployment of global services and applications in the new digital age. 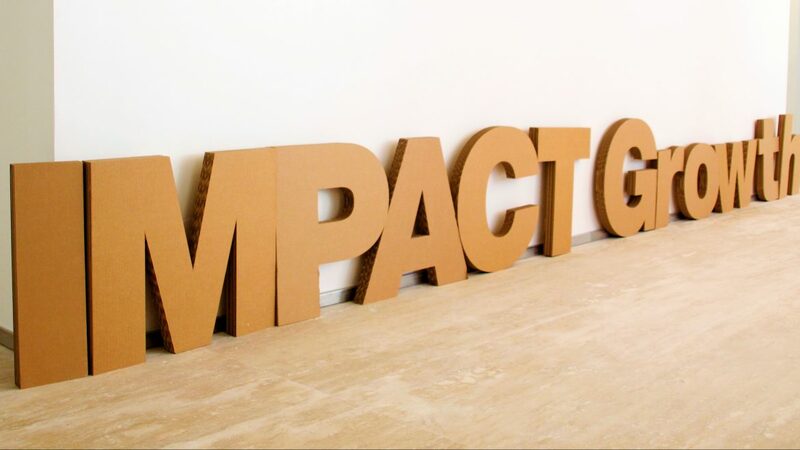 IMPACT Growth is one of the two programs IMPACT Accelerator, which invested over €14 million in 77 startups from 2014 to 2017 and has recently been named among the global top ten in Gust’s Global Accelerator Report after evaluating 579 programs from five continents. IMPACT Connected Car, IMPACT Accelerator’s other currently-running program, has also recently had a call for startups and SMEs that offer to disrupt the emerging market of connected vehicles. More than 500 startups applied, for a total of more than 2,500 applications to IMPACT programs in recent months. In 2018, IMPACT Accelerator plans to launch a new acceleration program focused on startups disrupting the robotics market. 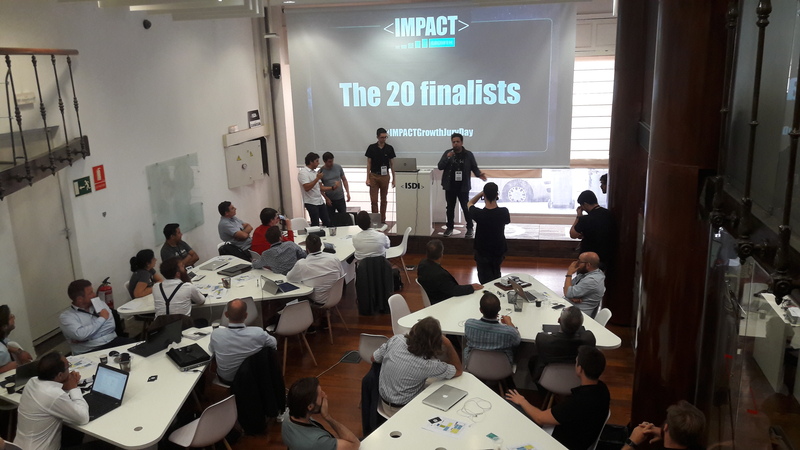 The winners of this selection process will be announced after a Jury Day slated for March 1st at the ISDI Digital Acceleration Center in Madrid. A shortlist of selected startups will pitch in front of panel of experts that will judge these companies taking into account account criteria such as scalability and international growth. What is The Best thing about IMPACT Growth? 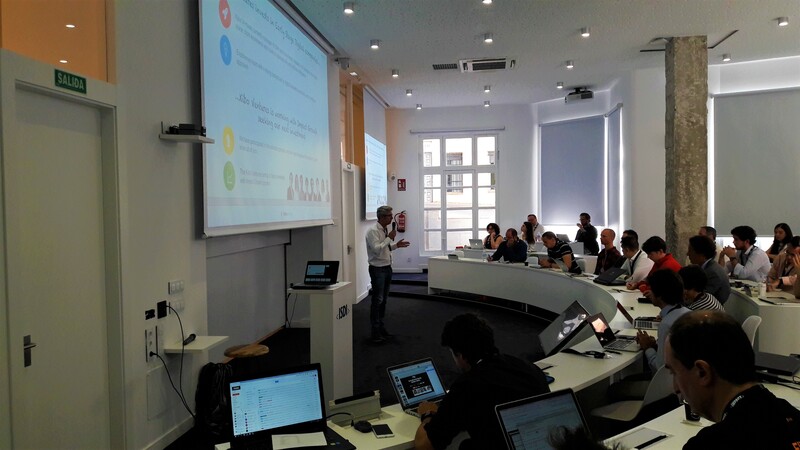 The 14 startups selected for the first batch of IMPACT Growth kicked off their acceleration with Welcome Week in September 2017. 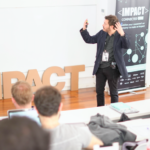 This intensive event, hosted by ISDI Madrid, brought together startups, mentors, corps, IMPACT partners, and world-renowned experts for learning and growth. Here, startups give insight into what they liked best about the event. Startups featured in this video include GymCraft, Fashion Cloud, YBVR, and Farm Dog.